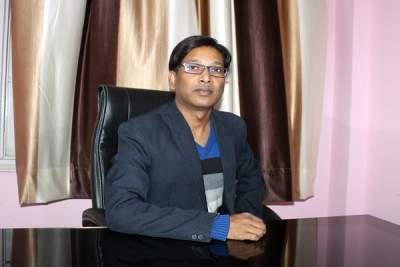 About Faculty : A Physics guru and an IITian from IIT Delhi is ranked among the best faculties of Physics in KOTA not only because of his immense teaching experience and vast Knowledge of Physics but this Physics teacher is favourite of his students. He can make dream come true for any IIT JEE aspirant .His teaching abilities and knowledge of Physics is even appreciated by his competitors in Physics .He Has been teaching physics since last 13 years. Message For Student's: Physics is the most important part of natural science. It deals with nature. Physics tries to explain the phenomenon around us. To learn Physics faster, you must try to see it in your daily life and relate its concepts with natural phenomena occurring around you and always prefer geometrical approach for better and effective solutions of problems.